The 4th year students presented their bachelor's research projects and took part in discussions in the following areas: media discourse studies, multimodal linguistics, text linguistics, intertextuality theory, discourse analysis, its types and genres studies, functional stylistics, communicative and pragmatic linguistics, intercultural communication, the speaker's personality, linguistic cultural studies and conceptology, current issues of methods of foreign language teaching. Congratulations to students on successful performances! The most outstanding projects were: by Panasyuk Anna Verbal means of influence in English-language media texts (group YA-45, scientific supervisor associate professor Virotchenko S.A.), by Kravtseva Vladislava Cinema allusion in the feature film "Forrest Gump" (group YA-41, scientific supervisor professor Morozova O.I. ), by ElenaPriadka Lexical and semantic and stylistic means of verbalizing the feelings of love in English-speaking poetic works (group YA-45, scientific scientific supervisor, associate professor Virotchenko S.A.), by Pabat Iuliia The structural features of S. Kinsella's novels (group YA -45, scientific supervisor lecturer Naidina E.S. ), by Bugrim Anastasia Carnavalization and its types (group YA-45, scientific supervisor professor Samokhina V.O. ), by Lein Chin-Chan The role of humor in the English-language business discourse (YA-46, scientific supervisor associate professor Shpak E.V. ), by Zaika Yevgenia Humor in language and communication (group YA-41, scientific supervisor professor Samokhina V.O. 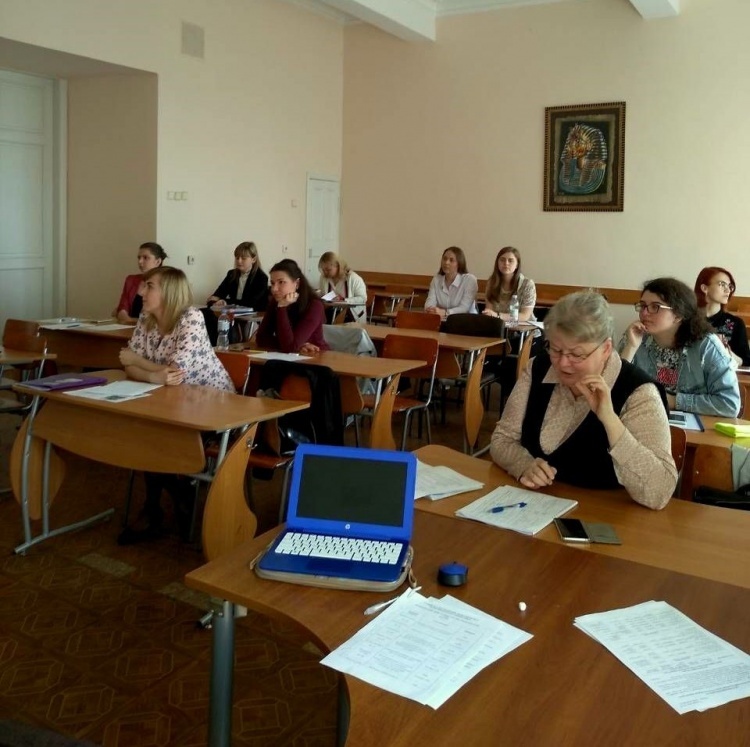 ), by Yaitskih Elena Switching the code in a situation of communication in English as a lingua franca (group YA-45, scientific supervisor associate professor Kotov M.V. ), by Titarenko Veronika Intentional and unintentional humor in everyday discourse (YA-44 group, scientific supervisor lecturer Naidina E.S. ), Bezpalchenko Kseniia Discursive personality of Doctor Who in the British fantasy discourse (group YA-41 scientific supervisor associate professor Kotova I.A. ), by Kurus Hanna Concept of HERO in the American film discourse (group YA-41, scientific supervisor associate professor Kotova I.A. 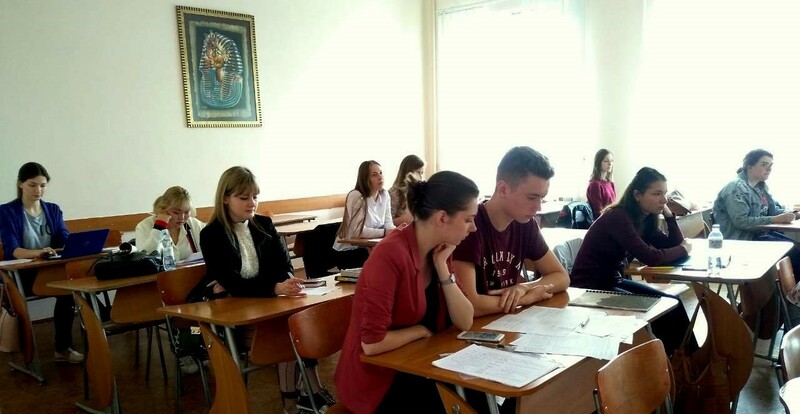 ), by Grishina Elena Blogs in the study of a foreign language in higher education: state, problems, prospects (group YA-43, scientific supervisor associate professor Varenko T.K. 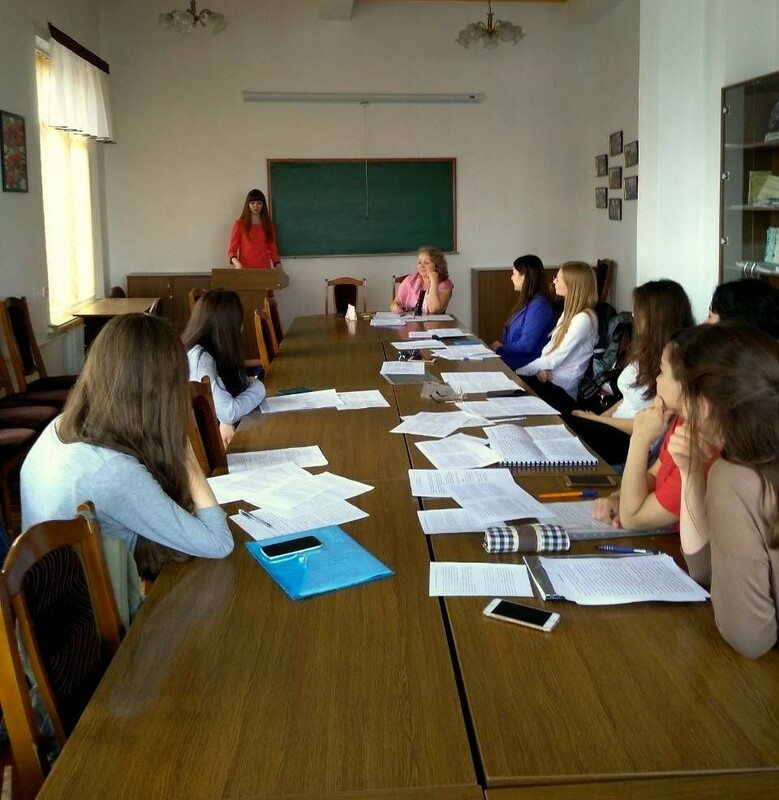 ), by Matiash Natalia Teaching reading as a means of formation of related linguistic and speech skills and abilities in the secondary school (group YA-44, scientific supervisor, senior lecturer Kuzmina V.S.). We are sincerely thankful to students, their scientific supervisors, moderators of round tables and those present for the wide range of topical studies and for active participation in the discussions. We wish you success in all your endeavors!